Doug Pederson proudly wears his Super Bowl LII gear at the 2018 NFL Combine. 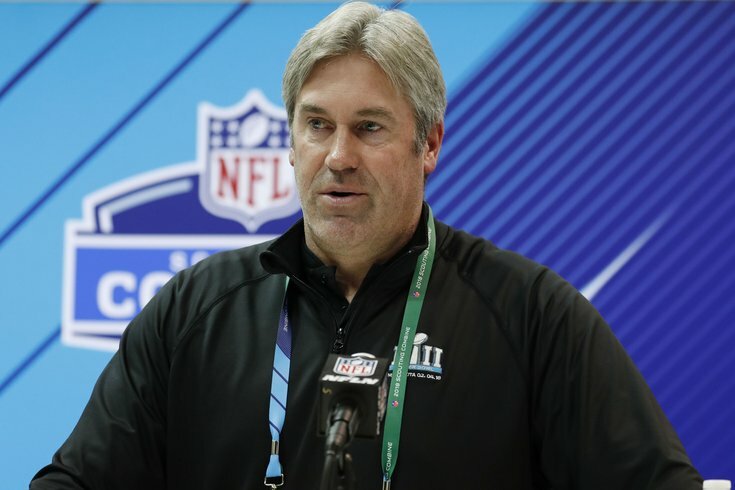 At the 2018 NFL Combine, Doug Pederson proudly wore his Philadelphia Eagles Super Bowl LII Champions gear, and the NFL blared background music whenever – and wherever – he walked (or rather, strutted), like he was John Travolta in Saturday Night Fever. OK, maybe the background music thing didn't happen, but unquestionably, Pederson, or any other coach for that matter, is more respected by his peers after winning it all. “Oh yeah, you’re viewed differently," Pederson acknowledged at the NFL Owners Meetings in Orlando last week. "Everybody is very complimentary. I think there were a lot of people pulling for us to win. You’re looked at, now, you’re a Super Bowl champion. As crazy as that sounds, it’s still hard to fathom. It’s hard to kind of put in perspective." 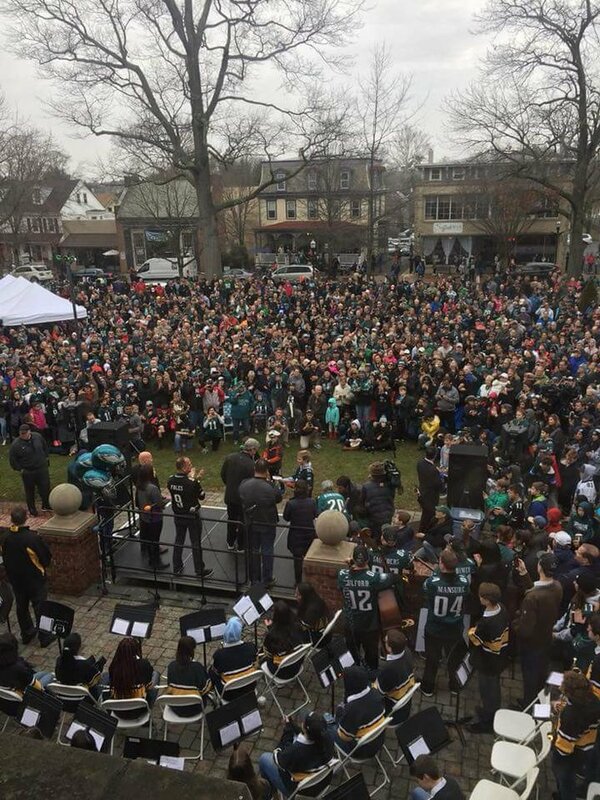 While appreciative of his NFL well-wishing peers, Pederson's favorite form of congratulations came via Moorestown, NJ, his residence, who honored him by naming February 24th "Doug Pederson Day." Mayor Stacey Jordan estimated that a couple thousand people showed up for 'Doug Pederson Day,' a carnival-like atmosphere with tents, face-painting, and music. "It was a Norman Rockwellian type of day," Jordan said. "The whole town coming out and celebrating was just – it’s hard to explain – just all the kids and the adults, and everybody was just in such an amazing mood. "They're very humble people, genuinely down to earth. She said 'We don't need anything,' to which Jordan replied, 'It's not for you, it's for the town. The town wants to celebrate you guys.'" Jordan said that Pederson stayed for over an hour and a half after the event to sign autographs for fans. "A week later, our boys basketball team was in the state semifinals, and he shows up at the basketball game," said Jordan. "They're just really good people who are part of our town." So what happens on Doug Pederson day going forward? “I dunno," said Pederson. "I’ve never had a day. I don’t. I’m taking suggestions." The best suggestion is for Pederson to win another Super Bowl, as Jordan pointed out that Moorestown's proclamations are not recurring. "February 24, 2018, is 'Doug Pederson Day.' It doesn't move forward, unless he wins another Super Bowl," she said. Well played, Moorestown. Whatever it takes to keep Pederson motivated to repeat.